Campus Snapshot: St. Mary’s School of Law makes one of the more compelling cases for not measuring all schools by the same yardstick. A deeply Catholic school, it caters to the large Hispanic and military population in San Antonio Southward, many of whom attend law school here to return to the Border and help immigrant families or join the judiciary or power base of South Texas. It offers a focus in advocacy training and international law, as well as public service and immigration. While students here tend to get jobs in small firms or government, the region’s growth may portend more corporate law jobs in the future. Driving to the Southernmost law school in Texas, I’m amazed at the development on the road from Austin to San Antonio. And I’m positively shocked at how huge Austin is – it rolls for miles and miles through the Texas hill country. And while the drive ends up a few miles away from The Alamo and the noted Riverwalk, there’s a few things to know about San Antonio before we talk about St. Mary’s. San Antonio is the second-largest city in Texas, with 1.4 million people and six Fortune 500 headquarters. As important to prospective law students is the region’s status as “Military City, USA” – home to one of the largest concentrations of military headquarters, including Fort Sam Houston, Randolph Air Force Base, Lackland Air Force Base and Brooke Army Medical Center. Combined the military employs 89,000 people and pumps more than $5 billion into the local economy. And while it’s still a five-hour drive to the border, there’s not a whole lot – and certainly no law schools – between here and there. Students who choose St. Mary’s are often first-generation college graduates who have seen their families persevere to start a better life, and who want to continue helping poor, struggling families in South Central Texas. The student body is 45 percent Hispanic, deeply religious and committed to public service. We asked Stephen Sheppard, dean of the law school, what value St. Mary’s brings to legal education generally, and to the students who choose to attend? “The St. Mary’s University School of Law is committed to providing a quality education to each student, treating each like a member of our family rather than another student in a percentile.” To do that, the school has instituted a new program to help every J.D. student “enhance his or her potential as a lawyer, no matter how high they are in the class. “Each student at St. Mary’s Law receives cutting edge programming to ensure success throughout law school and beyond. St. Mary’s Law has recently launched a first-of-its-kind Law Success Program with six full-time attorney-instructors and a licensed counselor,” he explained. Half of the team coaches essential skills development, while the other half prepares students for the bar examination. Coaches work with each student in the class, to identify his or her strengths and improve upon weaknesses through a cycle of training, assessment and retraining. Coaches hone skills appropriate for each year of law school, starting with the pre-legal skills of lawyering: reading, writing, editing, logical analysis of an argument and a strong ethic of work performance. 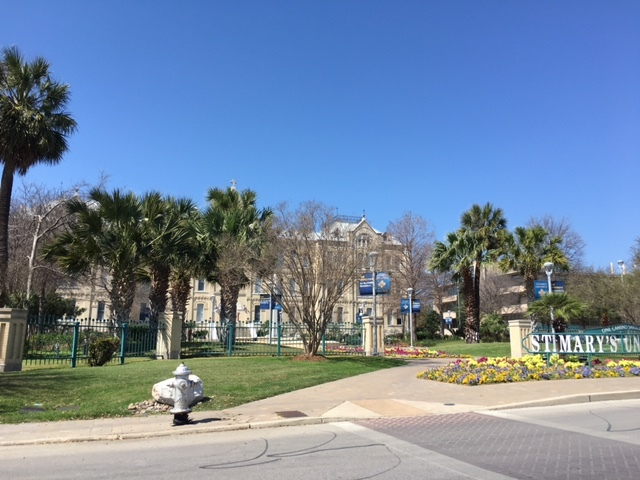 As for why a student should choose St. Mary’s, Sheppard said, “As the law school of San Antonio and South Texas, the St. Mary’s University School of Law teaches more than the rules of law. We equip future lawyers with the skills to succeed and with the values to lead in a more just world. The only Catholic law school in Texas, our mission is to graduate leaders in the law — advocates with the moral compass to make a difference. For us, justice counts. I spent some time at the school with Daniel Lopez, a student leader, who recently started his third year. He chose St. Mary’s because of its small size and the values the school imparts through its faculty. “I have always thrived in a small classroom setting that prioritizes student interaction and an open-door policy between faculty and students. St. Mary’s faculty and its administrative staff really make the success of the student body the priority,” he said. 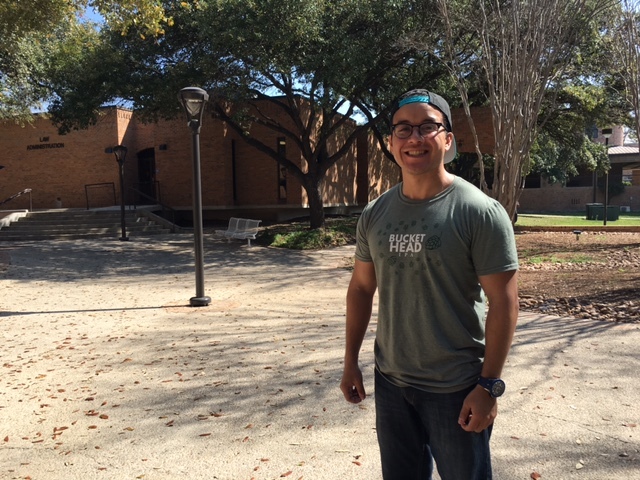 “I selected St. Mary’s for a number of practical reasons including my desire to practice in central Texas, affordability and cost of living, reputation. However, the most important concern in my decision to attend St. Mary’s wasn’t one of practicality or convenience, but rather pedagogy. The faculty at St. Mary’s is what really sold me on coming here and looking back at my 1L and 2L years it is the faculty that has brought the most value to my education. Combined with practical know-how and an extensive understanding of the law, every professor I have been fortunate enough to take a course with has left upon me an impression of what being a successful attorney truly means. 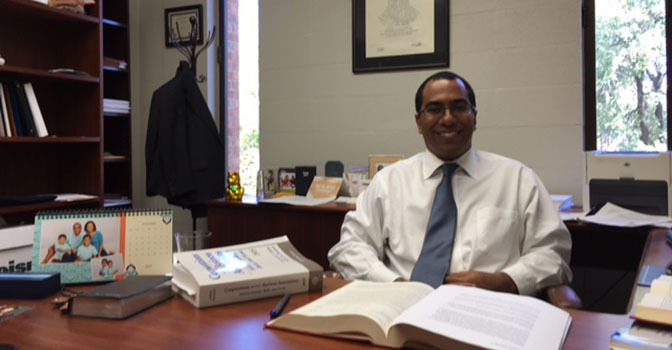 St. Mary’s has done a phenomenal job of not only teaching the black letter of the law, but fostering a sense of what it means to be a lawyer, a part of the equation that I feel is often missed in framing a legal education. So on the traditional numbers, yes, St. Mary’s is not going to be your choice over the powerhouse University of Texas Law School. Its bar pass rate should improve, its faculty-to-student ratio needs work, and it certainly could improve its job placement numbers. On the other hand, it is very affordable and its sense of mission fits with the students who attend here. As San Antonio’s economy grows, it’s possible some of these students will find their way to big firms and big salaries, or a biotech startup, but for the most part, that’s missing the point. Students come here because a law job in government or public service is success, a step up, and because it helps them serve others. Just as importantly, St. Mary’s may prove the fallacy of national law school rankings. Most students here would be no better off – and probably much worse off – if they went to a higher-ranked school out of state, took on much more debt and deprived themselves of the golden local connections that could help them establish their careers more readily where they intend to practice. Roy Barrera Jr. of Nicholas & Barrera, who was narrowly defeated for state Attorney General after serving as a state court judge; David Berchelmann Jr., former judge and now of counsel at Naman Howell; U.S. Senator John Cornyn; Elma Salinas Ender, the youngest woman and first Hispanic woman to serve as a Texas district court judge; Rose Spector, the first woman elected to the Texas Supreme Court; Stuart Bowen of the Center for Strategic & International Studies and former special inspector general for Iraq Reconstruction; former Pennsylvania Governor Tom Corbett; Laredo mayor Pete Saenz; the late Mario Obledo, a founder of the Mexican American Legal Defense and Educational Fund; Stacey Martinez, the partner-in-charge of the Norton Rose Austin office; and Courtney Rose, co-managing partner of Weil’s Dallas office. St. Mary’s students do not dream of Big Law. Who knows if they should. What they dream of is a better life for them and their families and doing some good while they’re here. After visiting St. Mary’s, I’m reminded that maybe that’s enough.